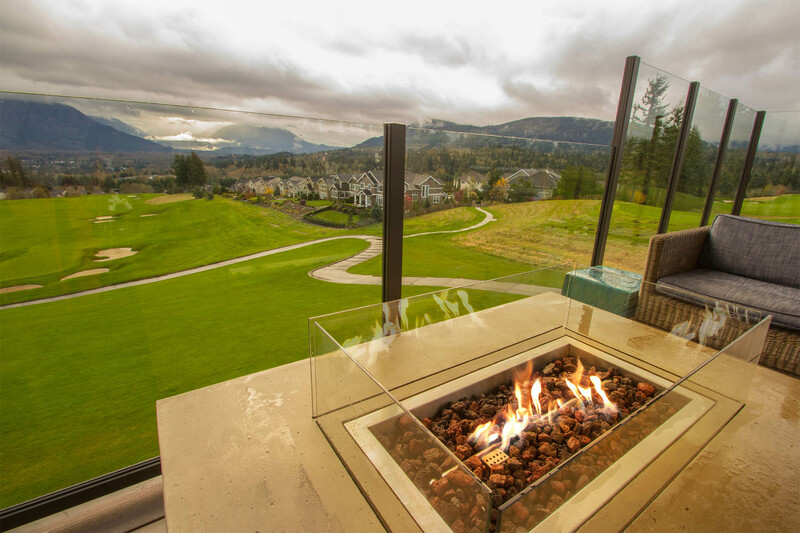 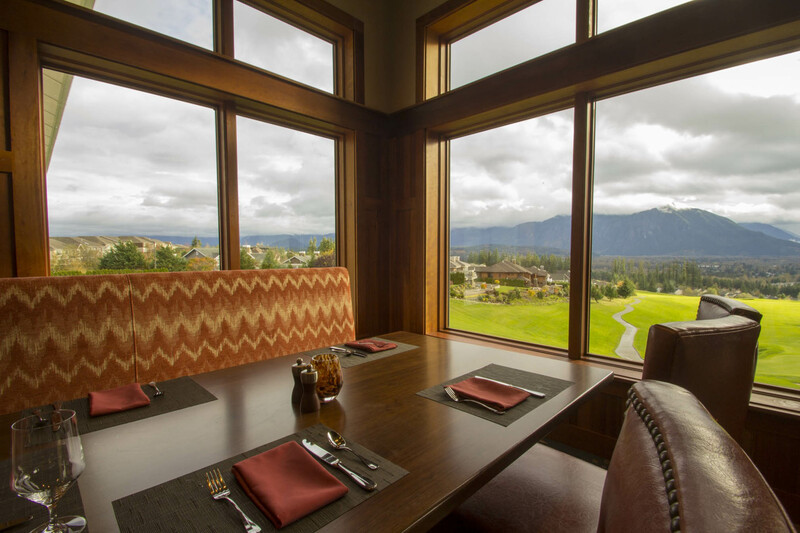 Nestled in the mountains of King County, Washington, Snoqualmie Ridge is a testament to a rejuvenated membership experience within the majestic environment that is the beautiful northwestern United States. 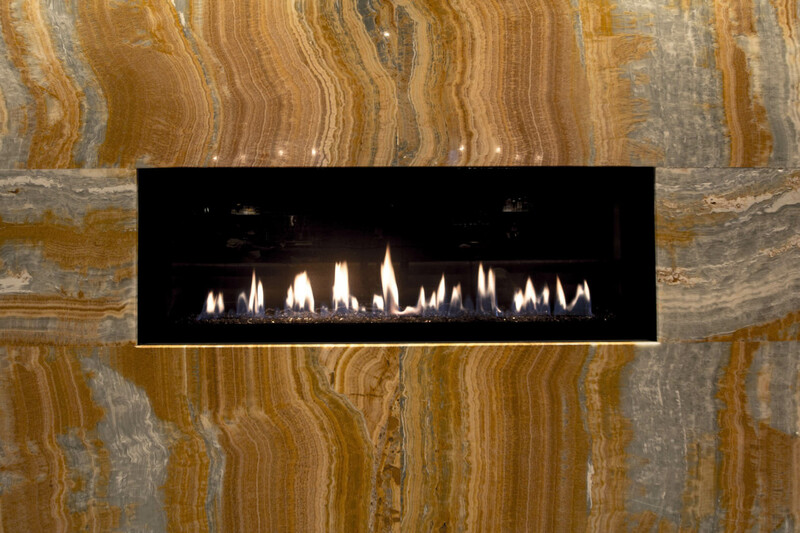 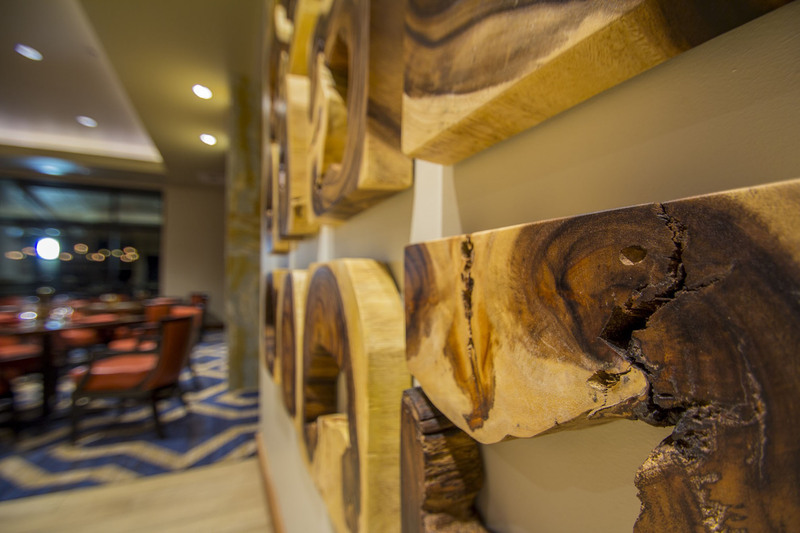 All the expected elements of rustic wood, stone, and evergreen are given a fresh application in a modernized and sleek execution. 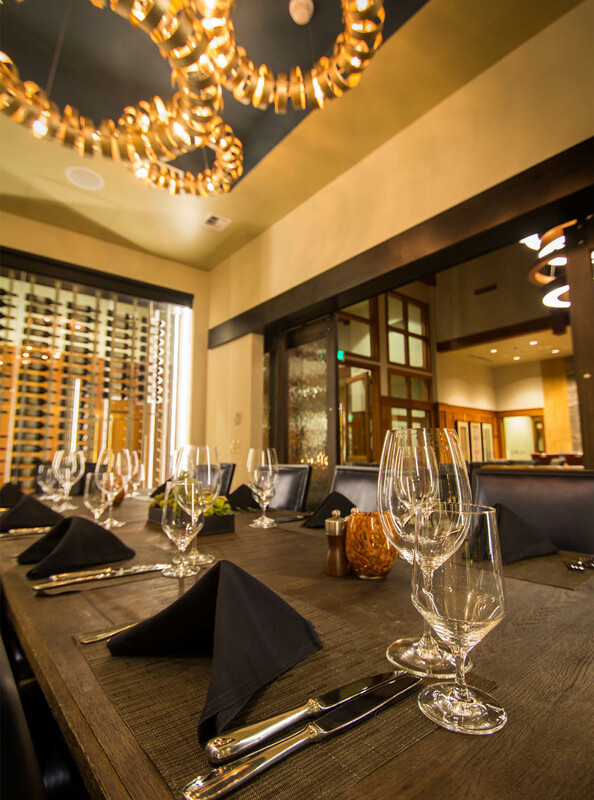 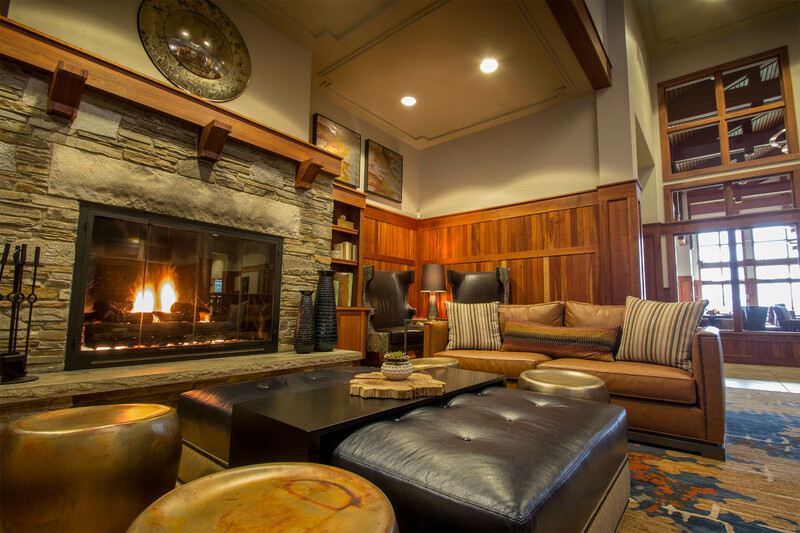 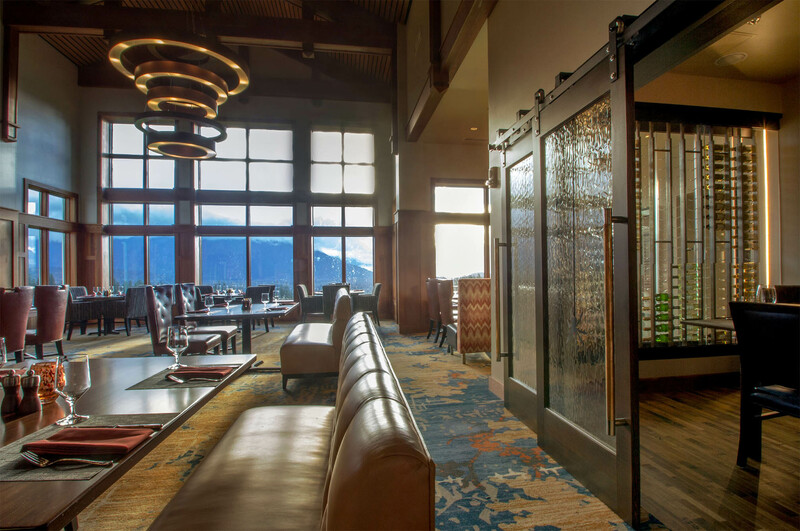 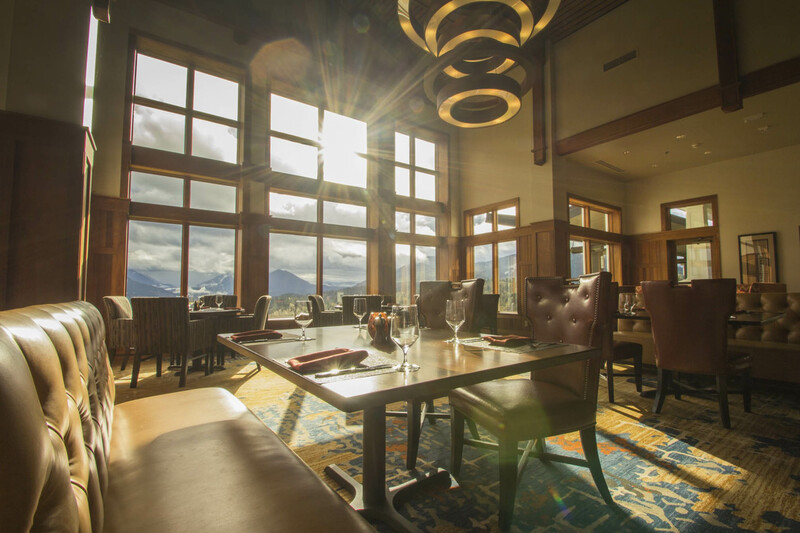 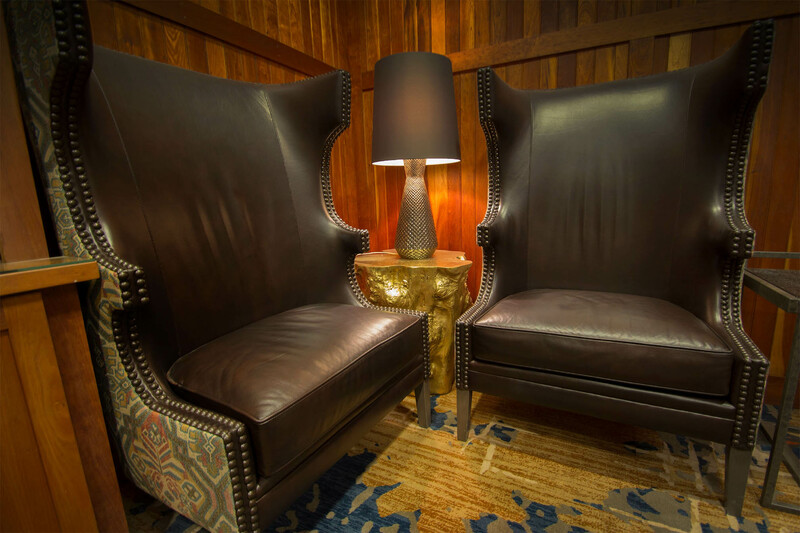 A completely reimagined bar and grill area wraps members and their guests in a warm, inviting, mountain-chic environment. 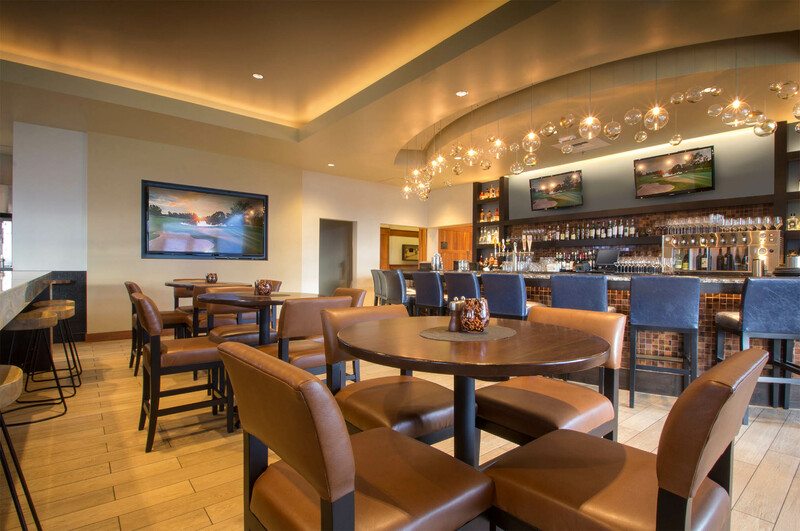 Perfect for hosting business meetings, family celebrations, and grabbing a quick bite after 18 holes. 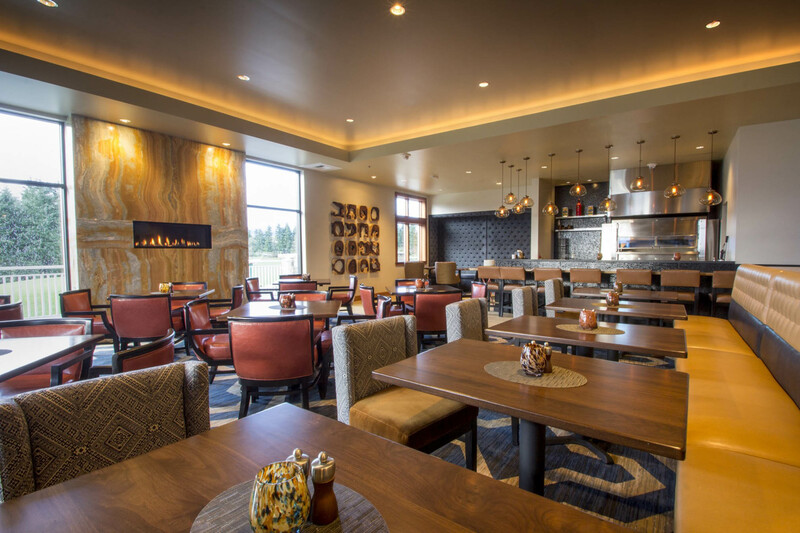 The main dining and grill area is simply stunning. 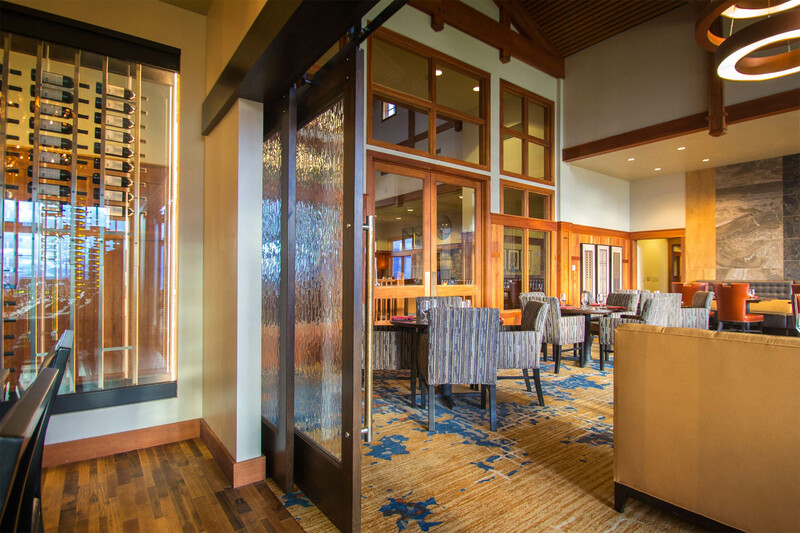 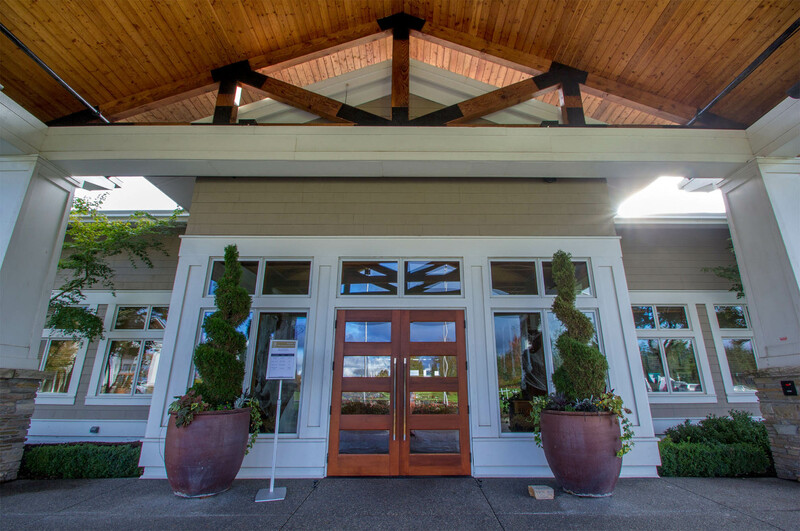 Appropriate for the Pacific Northwest, beautiful wood casings and stained millwork line the walls and ceiling. 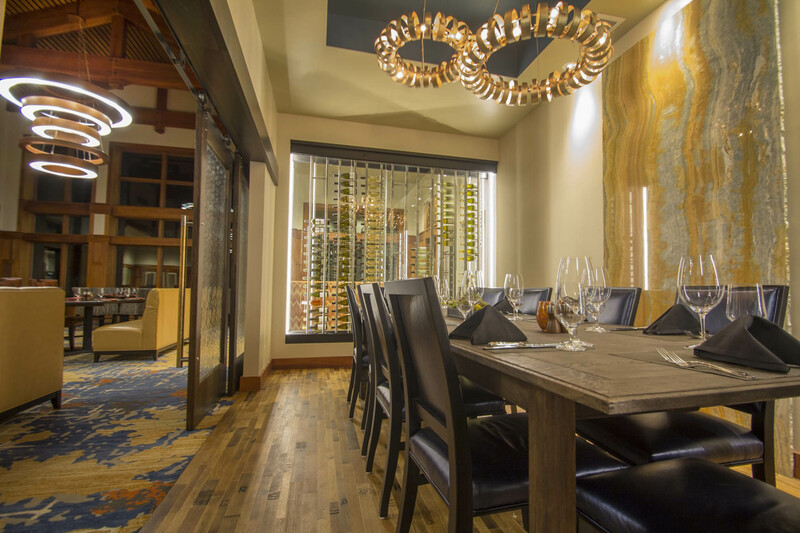 Chandeliers draw the eye up to the 20ft+ ceiling, allowing more intimate spaces (like the private dining room and wine cellar) to bring the scale down for focused attention.